There are two types of commonly used stucco. They are traditional, Portland cement stucco and synthetic stucco, also known as EIFS or Exterior Insulation and Finishing System. Sometimes we see a combination of these systems into a hybrid stucco system, sometimes referred to as a Hardcoat system. Traditional Stucco - Stucco has been used for hundreds of years and was applied to concrete or masonry surfaces, which are not susceptible to water damage. Wood frame houses are at risk for damage when moisture enters behind the stucco. 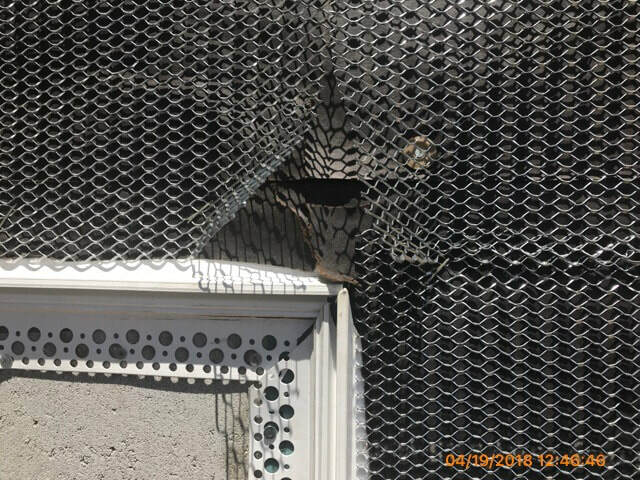 Traditional stucco is applied by using wire mesh, which is attached to the home. Stucco at this stage resembles cement and is applied by using a trowel. One or two colored finish coats are then applied over the stucco base. Synthetic Stucco/EIFS - Synthetic stucco has been in use in the United States since the 1960's. The most common type of EIFS is called PB EIFS. PB stands for polymer based. Dryvit is one popular name brand EIFS system. PB stucco is made of three layers: insulation, base coat, and finish coat. The insulation is made of expanded polystyrene about 3/4 to 1" thick. 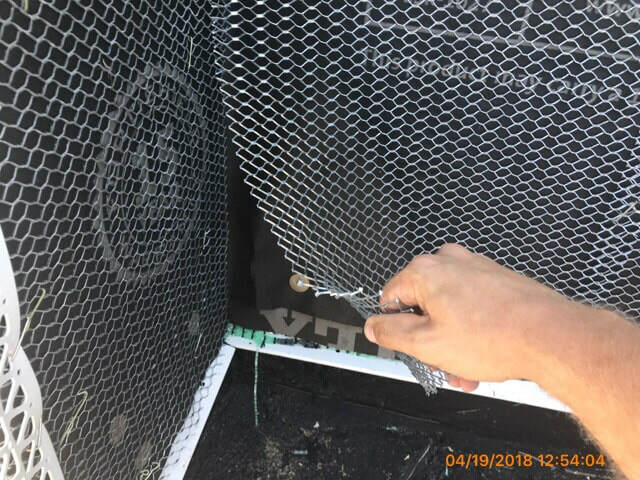 The base coat is applied over a layer of fiberglass mesh that strengthens the coating. The finish coat is applied last and contains the color. Hybrid systems may utilize combinations of both traditional and synthetic systems. What Causes Problems with Stucco? 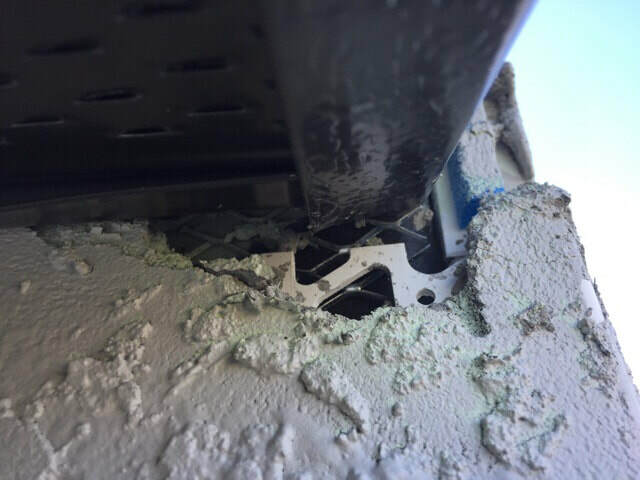 When joints and breaches in the stucco allow moisture in, there is no way for this moisture to escape due to the sealant quantities of stucco. 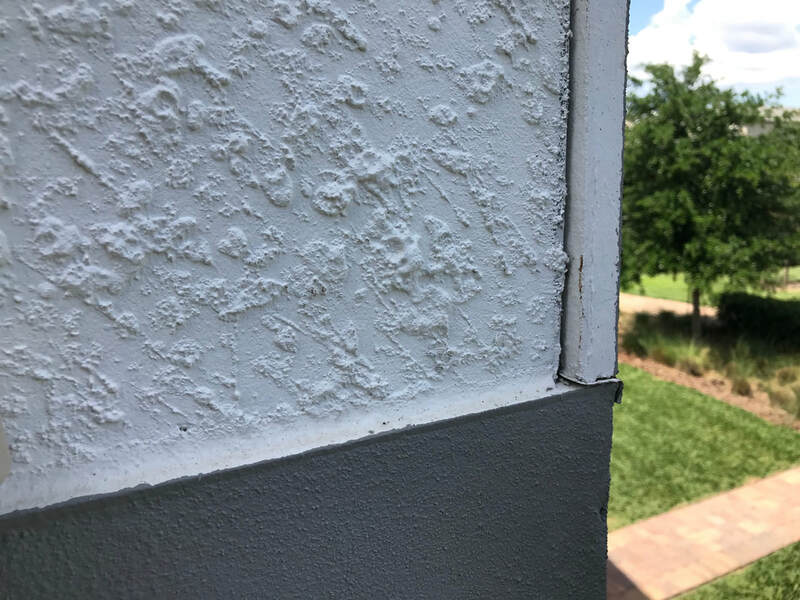 Easily remedied problems such as missing or poorly installed caulking or flashings will often be the cause of moisture intrusion. 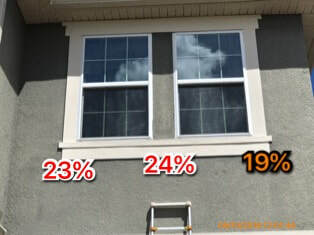 Windows are also a major source of moisture intrusion, due to gaps or cracks in construction. 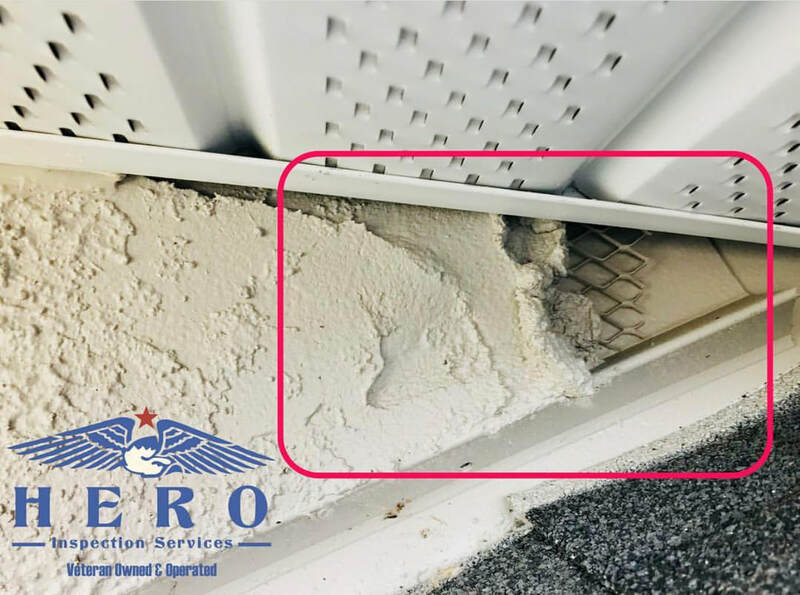 Because stucco was designed to keep moisture out, moisture that does penetrate the system can present a substantial risk because it can take months to dissipate. 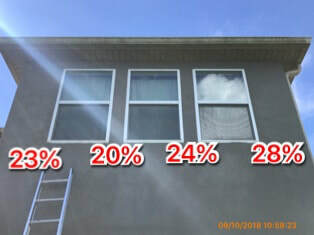 Often moisture will continue to leak behind stucco before the existing moisture has had a chance to dry out. When structural wood is exposed continuously to moisture it will rot. 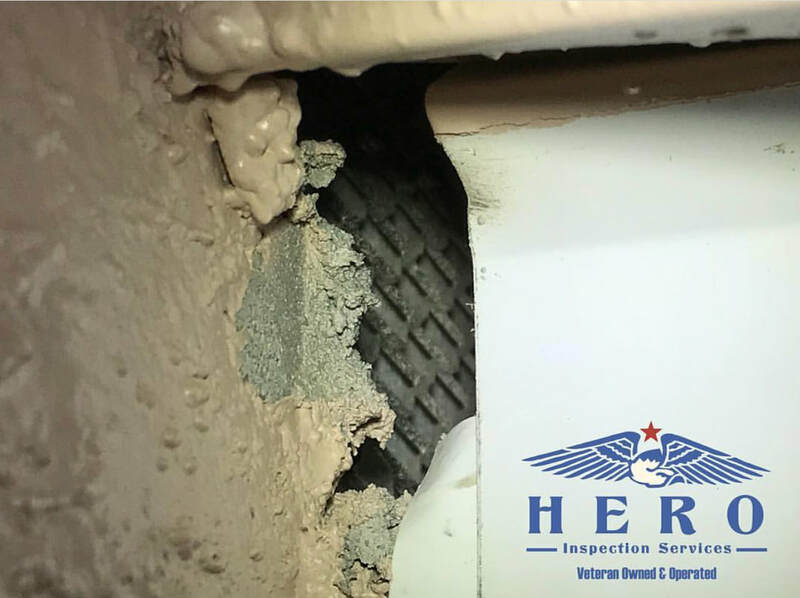 ​Hero Inspection Services is a certified and knowledgeable stucco and EIFS inspection company for new construction homes in Winter Garden FL, Orlando, Clermont, Ocoee, Apopka, Windermere, Doctor Phillips, Minneola, Leesburg and surrounding areas of Orange, Lake, and Polk Counties. The importance of proper stucco application is paramount in ensuring the longevity of a product that can last decades. 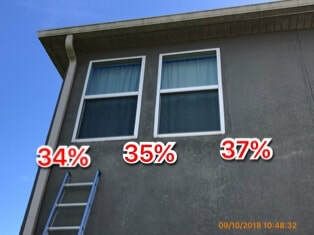 Stucco failures can cost homeowners tens of thousands of dollars and many builders either provide a limited one year warranty or no warranty at all. Certified by the Exterior Design Institute, our inspectors know and understand stucco. We analyze cracks, patterns, installations, moisture management and can conduct advanced testing for moisture intrusion and core sampling. Our stucco inspections begin with a non-invasive evaluation of the property's stucco system. 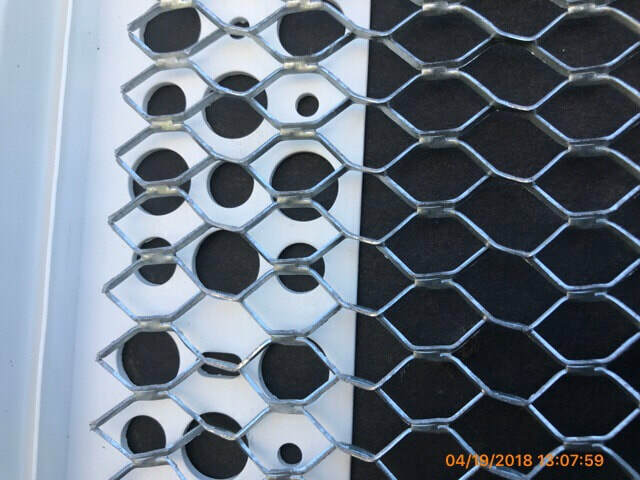 We visually analyze cracking, patterns, paint coverage and evaluate for improperly installed, detached, or unbonded areas. Additionally, we evaluate the home's moisture management system like flashings and gutters. 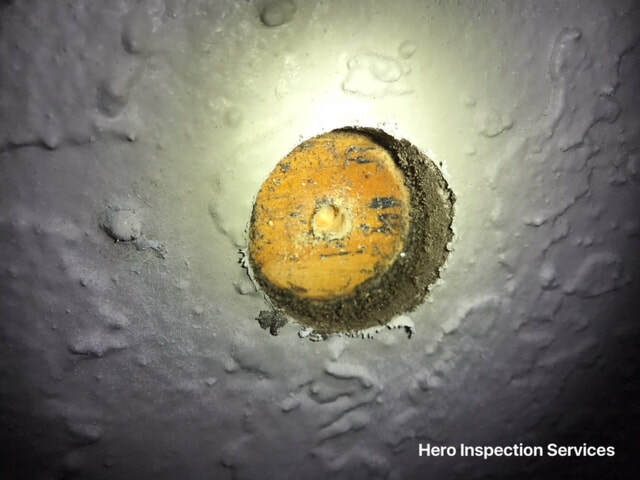 Testing Method - The moisture testing performed on the stucco wall covering at this building was an invasive moisture test performed from the exterior. 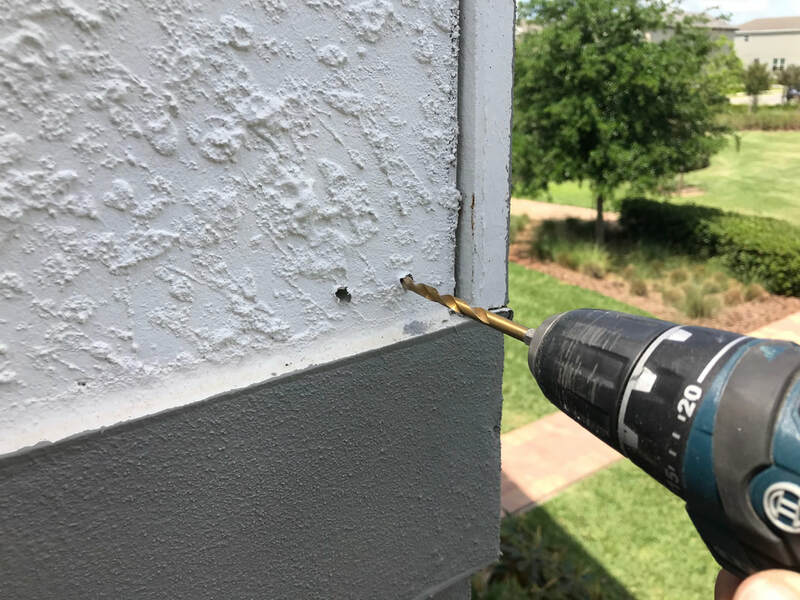 This test was conducted by drilling 3/16" holes in the siding, inserting a pin-probe moisture meter to take moisture readings of the substrate, then filling the holes with an ASTM approved caulk of a closely matching color. 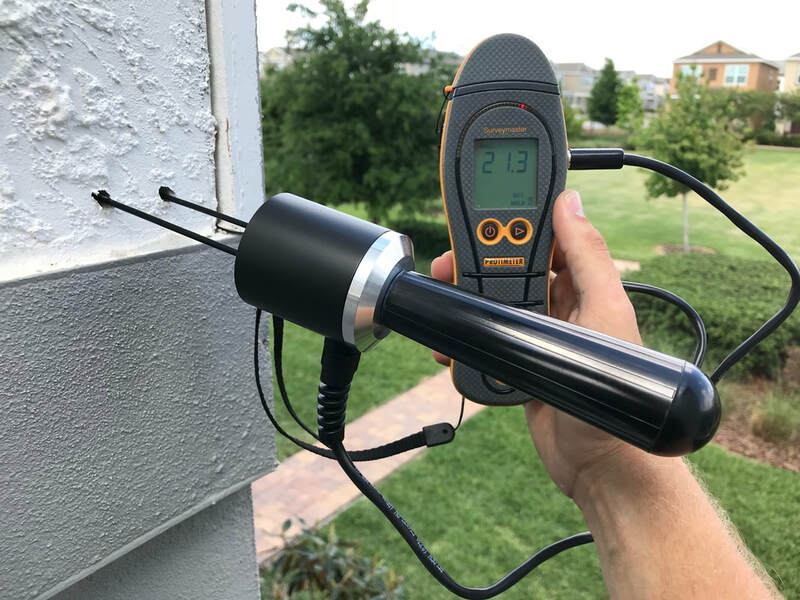 Using an advanced moisture detection system, we measure the moisture content of the substrate behind the stucco system. The penetrating probe has an effective range from 0 to 99%. This is the number that is recorded in the report. 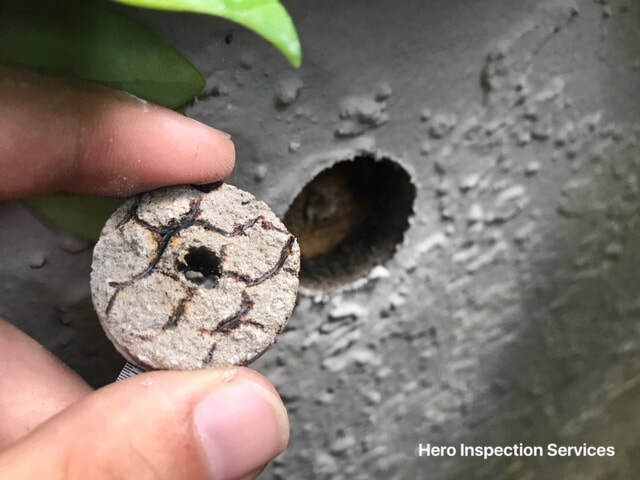 In some cases, it is advantageous to take core samples to further analyze and understand the stucco installation for a home. 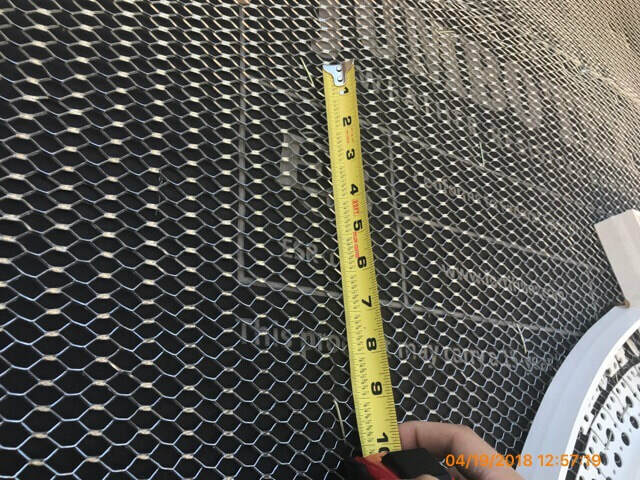 We can check how many layers were installed, if the stucco was properly imbedded into the metal lath, if the home's weather resistant barrier is present, overall thickness of the stucco and even tell how many layers were installed. "Mike is a true stucco expert and performed a very thorough assessment for us. He spent as much time as I needed answering questions following the inspection." 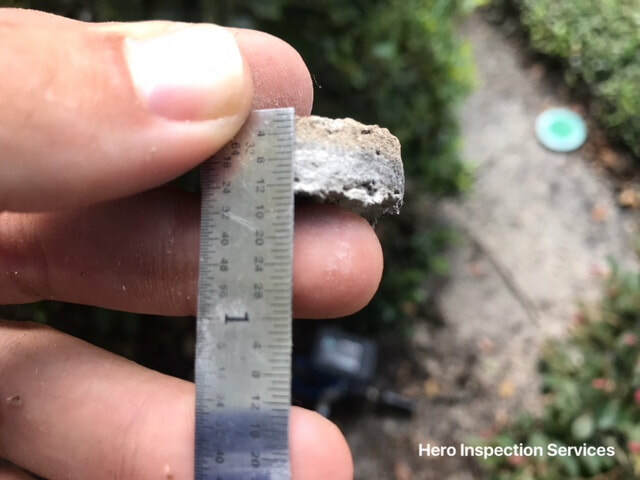 - Don R.
Hero Inspection Services is a certified and knowledgeable stucco inspection company in Winter Garden FL, Orlando, Clermont, Ocoee, Apopka, Windermere, Doctor Phillips, Minneola, Leesburg and surrounding areas of Orange, Lake, and Polk Counties. 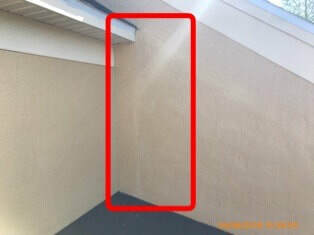 Certified Stucco Inspection in Clermont FL, Minneola, Groveland, Mascotte and surrounding areas of Lake County. 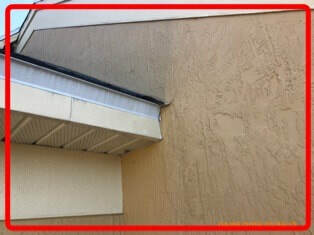 Certified Stucco Inspection in Winter Garden FL, Ocoee, Apopka, Mount Dora, Eustis, Travares and surrounding areas. Certified Stucco Inspection in Orlando Florida, Windermere, Metrowest, Winter Park, Dr Phillips, Maitland, and surrounding areas.